So with just over 2 weeks left of the year, the time has come to look forward to what 2012 has in store for us! One thing that spings to mind instantly is The Hunger Games movie which I for one am DYING to see! I'm also looking forward to all the little companion things, including the official guide written by Suzanne Collins herself! But anyway, this is about books... So, here are some books that have me salivating at the mouth, all due to be published throughout 2012! 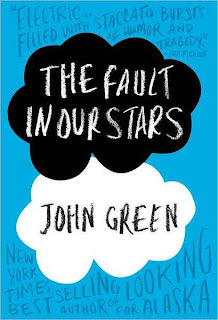 Official synopsis: "Diagnosed with Stage IV thyroid cancer at 12, Hazel was prepared to die until, at 14, a medical miracle shrunk the tumours in her lungs... for now. Two years post-miracle, sixteen-year-old Hazel is post-everything else, too post-high school, post-friends and post-normalcy. And even though she could live for a long time (whatever that means) Hazel lives tethered to an oxygen tank, the tumours tenuously kept at bay with a constant chemical assault. Enter Augustus Waters. A match made at cancer kid support group, Augustus is gorgeous, in remission, and shockingly, to her interested in Hazel. Being with Augustus is both an unexpected destination and a long-needed journey, pushing Hazel to re-examine how sickness and health, life and death, will define her and the legacy that everyone leaves behind." Having lost family members (Total count so far of 4) to cancer, this sounds like it's going to be a heart-wrencher! It also sees the publication of the second Casper Candlewacks adventure. It's called The Claw's of Crime and I can't wait. I loved the first book, Death by Pigeon (which I should be reviewing soon) and recently read it again. It's only a little book and it is aimed at younger readers (it says 9+ on the back... I'm only 10 years older... it's okay...) but it is so funny and such a good read! Official synopsis: "Most villages have an idiot but Casper's village is full of them. So being bright makes poor Casper something of an outsider. An infamous cat burglar has struck in the village of Corne-on-the-Kobb, stealing a precious jewelled sword and kidnapping Casper’s baby sister. To make matters worse a gaggle of amateur detectives are on the case, questioning the villagers and getting in the way. 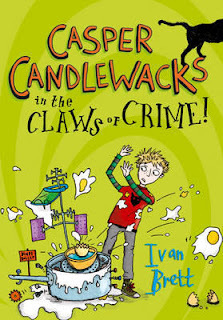 Armed only with his wits, an egg-boiling lie-detecting machine and his best friend Lamp, can Casper rescue his sister and save the day?" 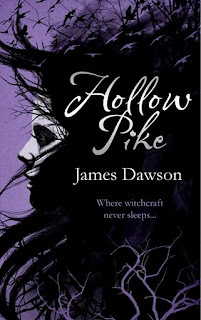 Official synopis: "Lis London moves to Hollow Pike looking for a fresh start. She's intrigued by the town's sinister history of witchcraft, ritual and witchfinders. 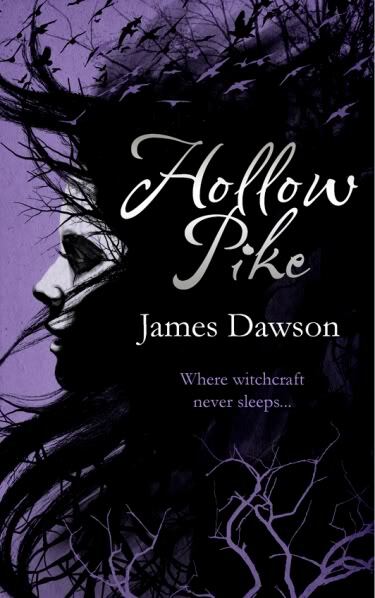 But when a fellow teen is murdered in the woods in what appears to be a ritual killing, Lis starts to wonder whether the witches are really history after all... Who is the mysterious figure caught on camera in the trees at the time of the murder? Could he be the killer? And do Lis's ominous nightmares of being murdered in the forest mean that she might be the next to die?" We also get this little beauty! 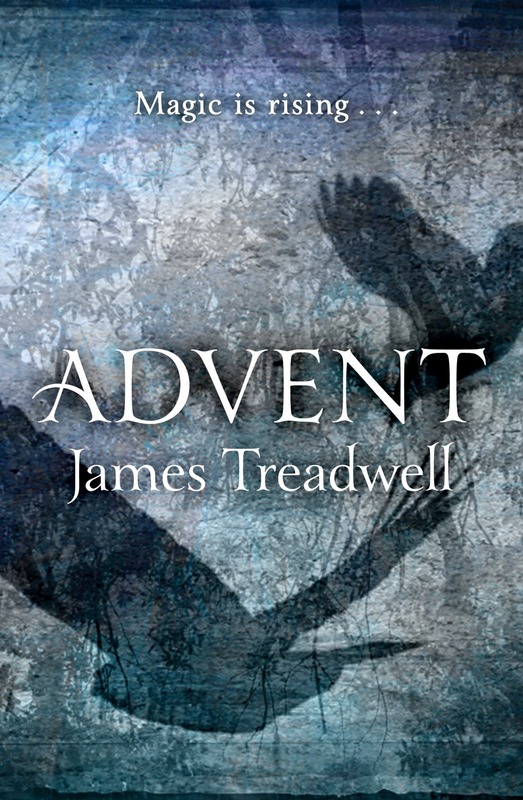 Advent by James Treadwell. It looks beautiful, and it currently sitting on my "to read" pile. It sounds fantastic and I for one can't wait to get stuck in! Official synopsis: "For centuries it has been locked away. Lost beneath the sea. Warded from earth, air, water, fire, spirits, thought and sight. But now magic is rising to the world once more. And a boy called Gavin, who thinks only that he is a city kid with parents who hate him, and knows only that he sees things no one else will believe, is boarding a train, alone, to Cornwall. No one will be there to meet him." Then in MARCH, another very exciting release! The second Department 19 book, by Will Hill! Titled The Rising, the cover is quite literally on fire! HarperCollin's design department have taken what was already a very striking image from the first book, made a few changes and then set it ablaze and made it even more eye-catching! Reviewed the first book in this series earlier today, and this is perhaps one of my most anticipated releases for 2012. 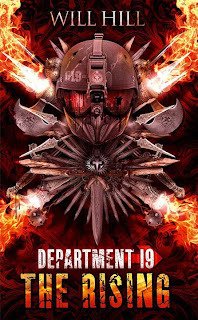 Official synopsis: "The pulse-pounding sequel to DEPARTMENT 19 – “The best action horror story I have ever read” according to Bookzoneforboys… DEPARTMENT 6 IS THE ARMY. DEPARTMENT 13 IS MI5. 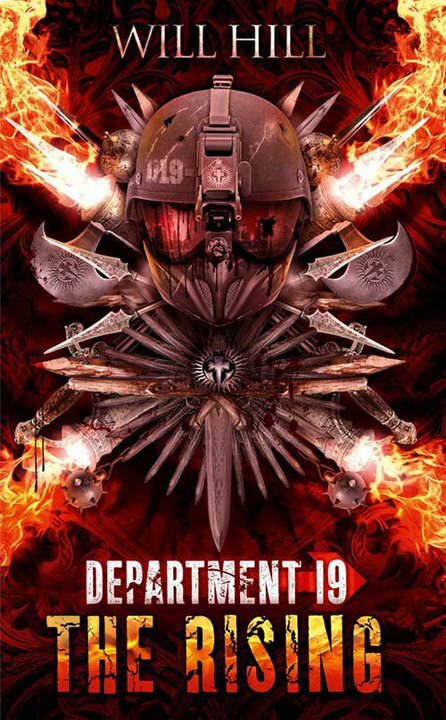 DEPARTMENT 19 IS ALL THAT STANDS BETWEEN YOU AND THE END OF THE WORLD. After the terrifying attack on Lindisfarne at the end of the first book, Jamie, Larissa and Kate are recovering at Department 19 headquarters, waiting for news of Dracula’s stolen ashes. They won’t be waiting for long. Vampire forces are gathering. Old enemies are getting too close. And Dracula… is rising." Eep! What is going to happen next?! 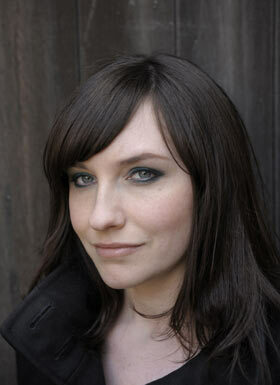 In April, Simon and Schuster UK will publish Michelle Harrison's first offering since she finished her Thirteen series/trilogy. It's called Unrest, and it's out right at the end of the month. Not much is known... there's no cover art yet, but we do have a synopsis and it sounds deliciously ghosty! Join me in a chorus of "I WANT... RIGHT NOW!!!"